Hey Defenders! Thanks for visiting our Defender Volunteer Program Page! 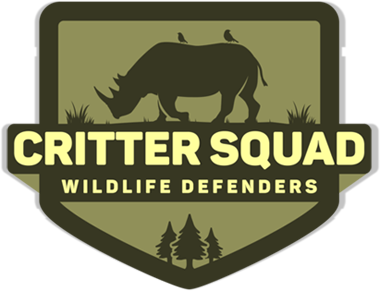 Here you will find all the information needed to be a part of the Defender Volunteer Program with Critter Squad Wildlife Defenders. Be sure to call our main office at (818) 654-9433 if you have any questions regarding the D.V.P. Provide defender volunteers experience working in a team-based animal education program. Potential for continued future employment with C.S.W.D. Provide a respected defender volunteer program allowing defenders a chance to gain valuable experience working with diverse animal ambassadors. Train future animal keepers in order to support future growth of the Critter Squad Wildlife Defender Zoo. Create more enrichment opportunities for animal ambassadors by allowing defender volunteers time to monitor, observe, and interact with the animal ambassadors. Defender volunteers are encouraged to voice their interests during their defender volunteer program in order to get the most out of the experience. At Critter Squad Wildlife Defenders we hope to provide each defender volunteer with a specific, individualized training experience. This can foster their understanding, interest, and motivation for working with animals. Generally, defender volunteers will be expected to complete any tasks that facilitate upward functioning of the Critter Squad Wildlife Defender Zoo. Tasks that will be assigned may include animal care/enrichment, facility maintenance, communications, assisting team members with tasks, etc. Defender volunteers will only be allowed to interact with animals based on their Level (see below regarding Level explanation). Defender volunteers may also have the opportunity to shadow staff members during animal presentations in the field. To become a volunteer with Critter Squad Wildlife Defenders a few requirements must be met. Must be at least 18 years old to reach level three or beyond. Must be interviewed by the Critter Squad Volunteer Coordinator. Must complete a live scan and TB test. Must complete the Volunteer Application. Must complete the Volunteer Initiation Packet. Must come to the orientation meeting for the specific volunteer level you are applying for. A defender volunteer application must be on file before any new defender volunteers will be accepted into the Defender Volunteer Program. Defender volunteer applications can be downloaded from our website and sent in via email. After filling out the defender volunteer application you can snail mail it to our PO box or you can email it directly to us. Please see the Contact Us page for details. A defender initiation packet is created for every defender volunteer after they have completed their interview. The defender initiation packet is a series of documents Critter Squad Wildlife Defenders need to have on file before defender volunteer services can be accepted. A defender orientation meeting will be held once every three months, for any volunteers. If an orientation meeting is missed, then the defender volunteer must wait until the following meeting to enter. In defender orientation meetings the defender volunteers will learn entire breakdowns of their volunteer levels and all the things they can work on to complete at that stage. Defender volunteers MUST attend the defender volunteer meetings. Defender volunteers cannot reach the next defender volunteer level without first attending the orientation meeting, no matter how good the defender volunteer is or how long they have volunteered. All defender orientation meetings must be signed off by the volunteer coordinator, which is maintained in our main office. Please see the defender orientation meeting schedule to find out when your next volunteer meeting will be. The defender volunteer levels are created by Critter Squad Wildlife Defenders to show how aggressive or hard to handle an animal is (Level 1 is least challenging or least aggressive animals, level 5 is most challenging or most aggressive animals). Defender volunteers must complete a certain number of hours before being able to work with higher level animals. Defender volunteers who are interested in increasing their animal skill sets will be expected to practice handling, cleaning, and completing other tasks while completing their hours per each level. Once hours are completed and signed off by the Volunteer Coordinator, the defender volunteer is able to advance and practice working with higher level animals. Defender volunteers might be asked to perform certain tasks with the animals to test their skills before advancing to the next level.